We have all seen photos of the magnificent Cappadocia in Turkey, where houses and hotels are built into the unusual rock formation that looks like termite hills. 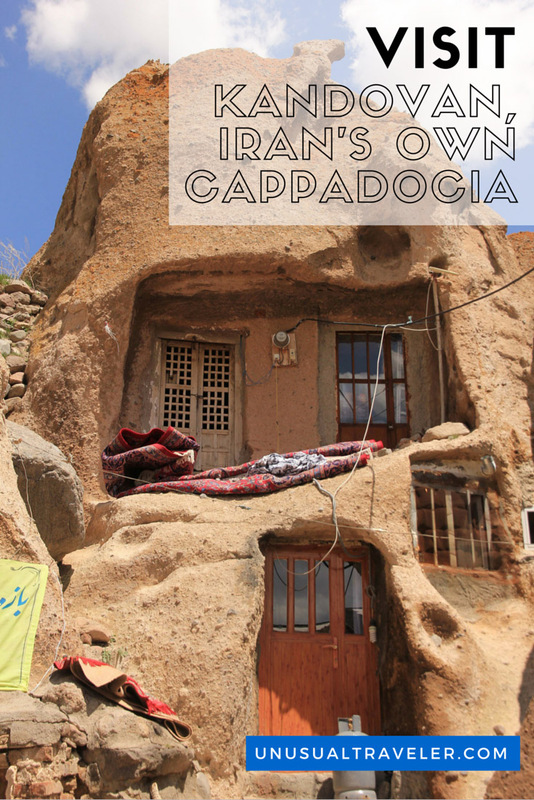 A lot of people and even travel magazines think that’s one of a kind, but that’s completely wrong, Iran got their own “Cappadocia”. Kandovan might not be as stunning as Cappadocia, and you will definitely not be able to post selfies on facebook from a hot air balloon, but on the other side you will have Kandovan completely to yourself, and you will not be required to pay an entrance ticket like in Turkey. Kandovan is located in the East Azerbaijan province in the far western part of Iran. 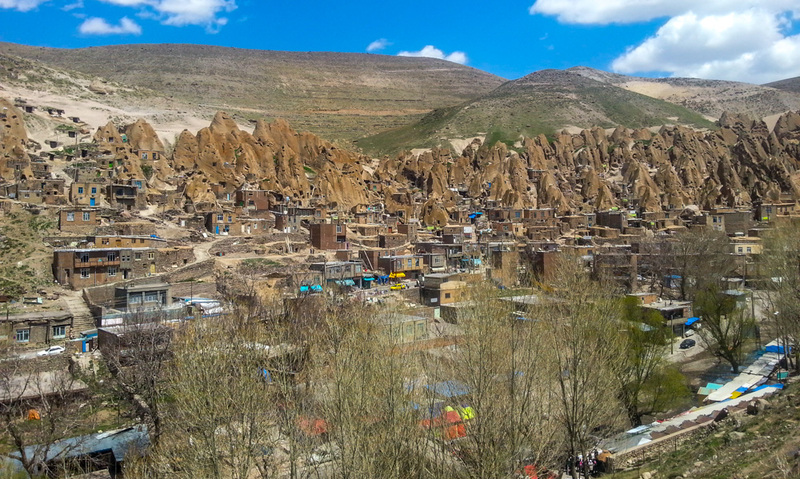 The easiest and the only way to reach Kandovan is from the province capital, Tabriz. Tabriz is an important city and one of Iran’s historical capitals. It has one of the oldest bazaars in the Middle East and the largest covered bazaar in the world. It’s also part of the UNESCO world heritage sight. The bazaars, which is still fully functional today, history goes all the way back to the Silk Road area when it was one of the most important commercial centres. 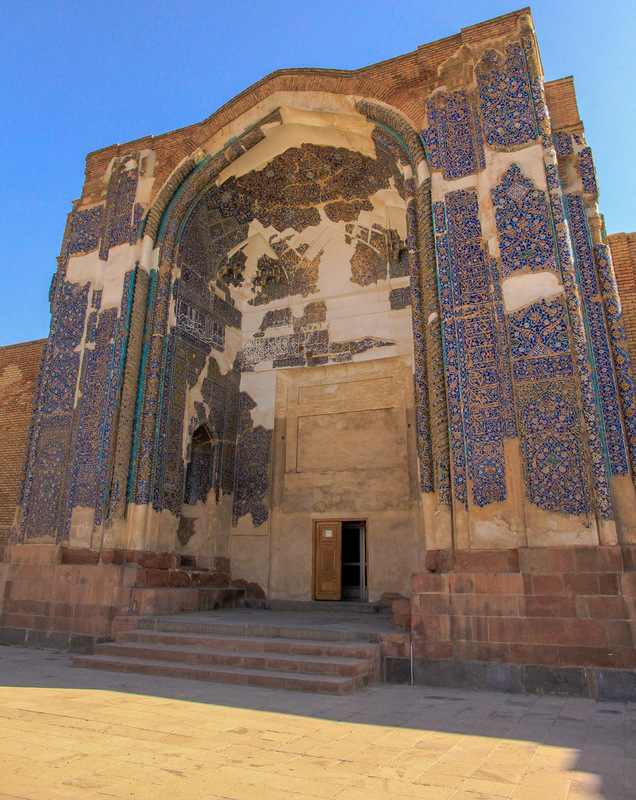 Another interesting sight in Tabriz is the Blue Mosque that dates all the way back to 1465. The mosque was badly damaged by an earthquake in 1779, and these days only the entrance hall remains standing. Kandovan is located about 55Km (34 miles) south of Tabriz in Sahand Protected Area. It’s easily reached by Taxi, or at least that’s what I did since I couldn’t figure out if or where there was any bus going there, so I ended up hiring a Taxi that charged me 20 USD for a round trip. The trip was well worth it since the old gentleman also invited me for dinner with his family when we returned to Tabriz. 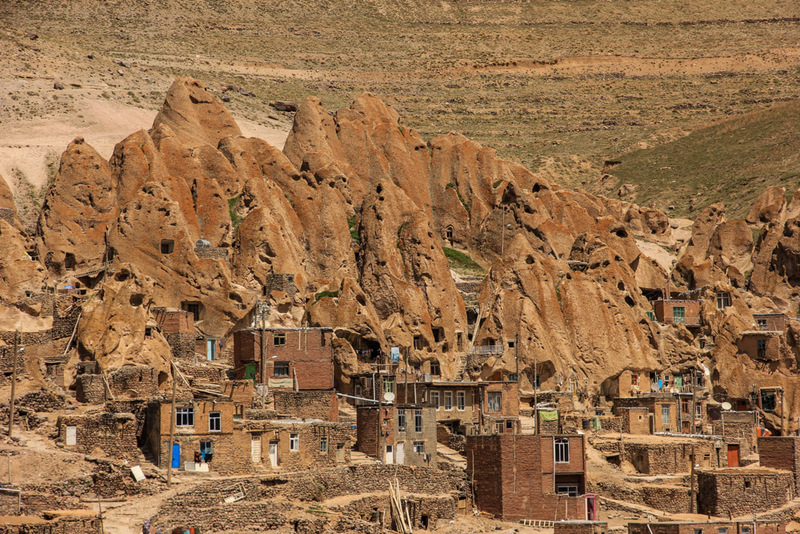 There’s not much information online about when or why people started to inhabit Kandovan. According to the locals I talked to, their ancestors have been living in Kandovan since they were fleeing from the Mongol conquerors in 1220. Some families still live in houses that remained from that age. 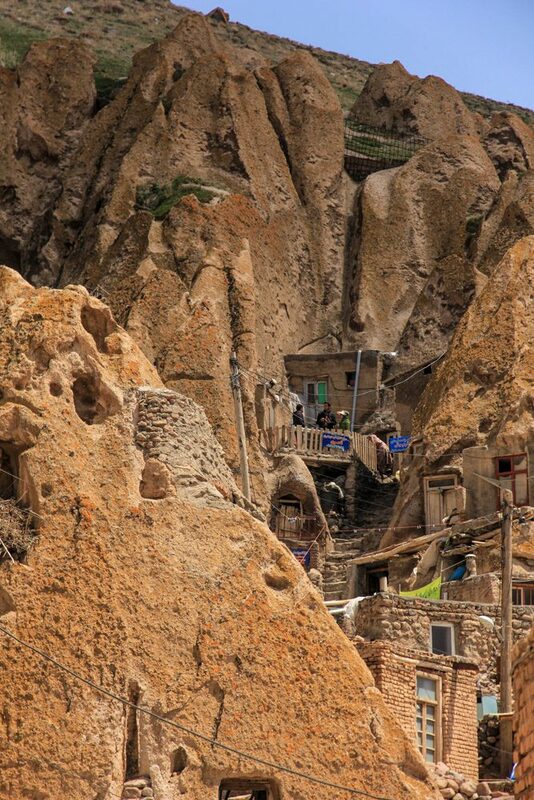 Now more than 600 families are living in Kandovan. The living conditions are still very basic, but they do have a few modern benefits like electricity and internet now. Doors and windows dogged out into the rock. There´s still some snow on the hill tops surrounding Kandovan. Kandovan is maybe not as spectacular as Cappadocia in Turkey, but at least you will not be hassled by sellers and tour guides, you will be able to walk completely free around on your own, and you won’t have to buy an entrance ticket either here. 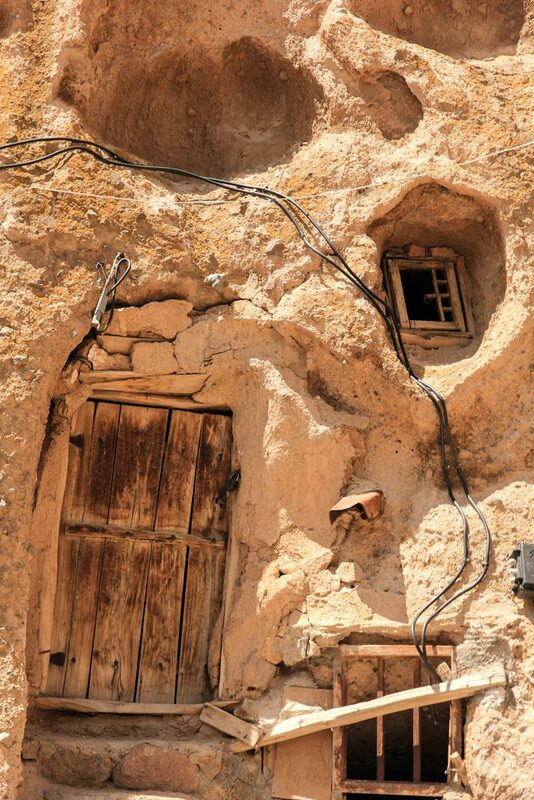 Kandovan is also a glimpse into how Cappadocia looked like before the hoards of tourist discovered the place. Cappadocia is VERY touristy these days while this place is completely authentic. As I have already mentioned earlier in the post, the easiest way to reach Kandovan is by Taxi; I paid 20 USD for a roundtrip. While this place is mostly unknown to people outside of Tabriz and Iran. Is it famous for people living in western Iran, so there is a few hotels and restaurants in the area. There are also a few decent local restaurants that serve the most common local food. 6/8. It depends if you have been to Cappadocia or not, if you have been to Cappadocia already you will probably be disappointed. But if you have never been there, you will most likely like this place. I personally liked it a lot since it’s much more authentic than the tourist trap Cappadocia. it’s really worth a visit if you want something “off the beaten path” travels! ?? hi. I will be in iran in dec with my family. yeah I know it’s pretty cold that time. my question is did you pay the taximan in usd or rial? did the people in iran take usd or euro cause I will spend a week in iran then heading to turkey later. I paid everything in Iran in Rial, but the people will happily accept USD or Euro too, BTW ALL the money changers is closed on Friday..